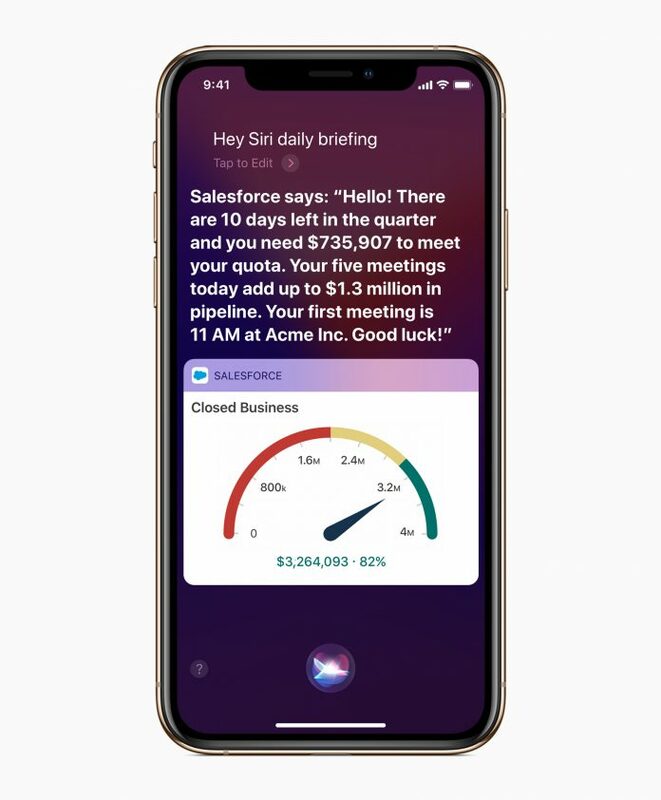 Apple and Salesforce are partnering to integrate Apple’s features, such as its Siri voice assistant, into Salesforce’s mobile apps. Salesforce offers a customer relationship management platform, and this will be integrated with Apple’s mobile operating system, iOS. Salesforce will work with apple to redesign its app to embrace the native mobile platform with exclusive new features, such as Siri Shortcuts, Face ID, Business Chat and more. The companies will also provide tools and resources for millions of Salesforce developers to build their own native apps with a new Salesforce Mobile SDK for iOS, and a new iOS app development course on Trailhead, Salesforce’s free, web-based learning platform, according to Apple. “We’re excited to work with Salesforce and that their industry-leading CRM will embrace native iOS and deliver exclusive new features on iPhone and iPad,” said Tim Cook, Apple’s CEO.